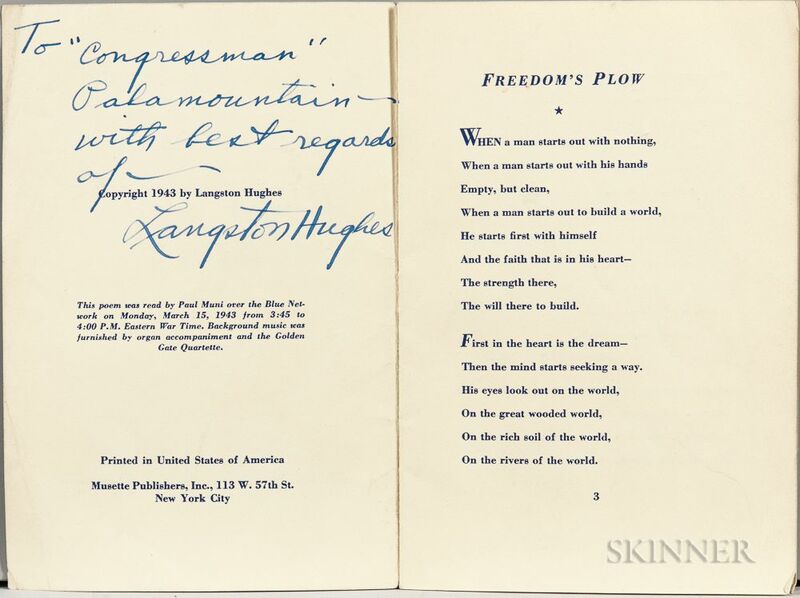 Hughes, Langston (1902-1967) Freedom's Plow, Signed and Inscribed. New York: Musette Publishers, [1943.] 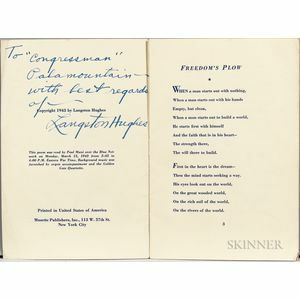 Octavo, inscribed to Skidmore College President Joseph C. Palamountain Jr. in blue ink, limp paper wrappers, stapled, 7 3/4 x 5 1/8 in.